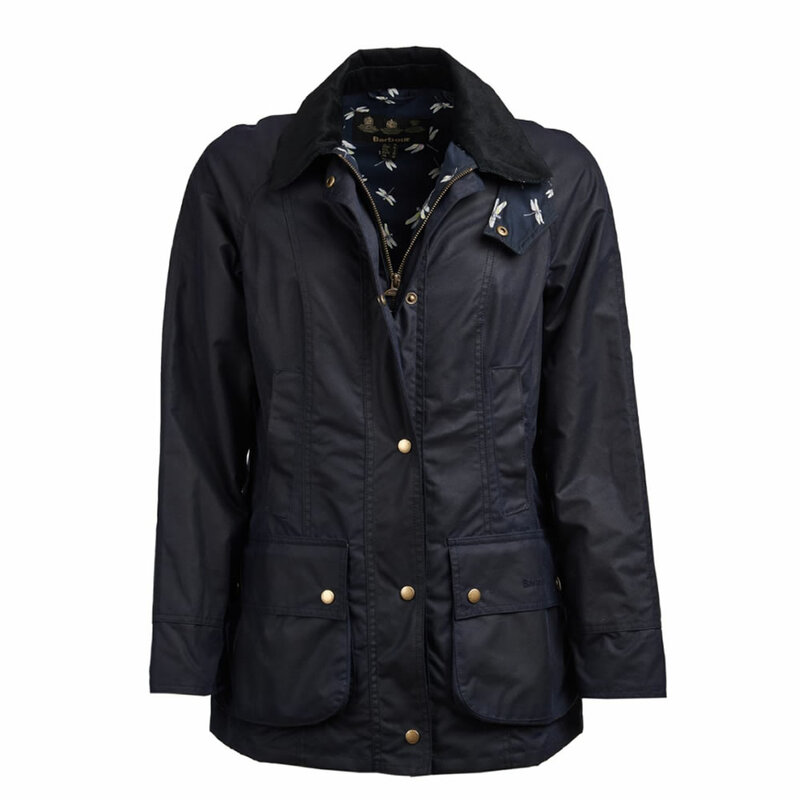 The Women's Barbour Monteviot Wax Jacket is based on the iconic Barbour Beadnell jacket in 6oz Sylkoil. 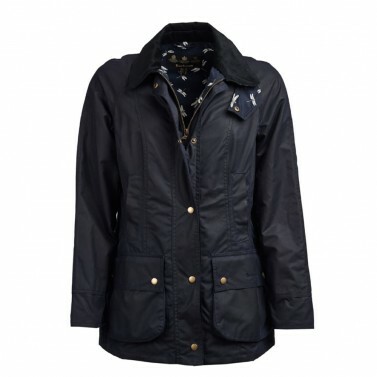 It is trimmed with a intricate dragonfly print under the corduroy collar, pocket flaps and inner buggy and is lined with 100% cotton fabric too. 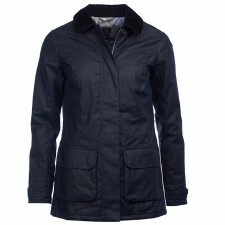 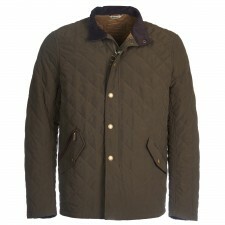 Features include hand warmer pockets, front flap pockets and floral stud at top plaquet.